After reading the reviews and seeing numerous celebrity endorsements I bought into the hype and ordered La Mer’s Creme de la Mer while sephora was having the VIB sale last month. 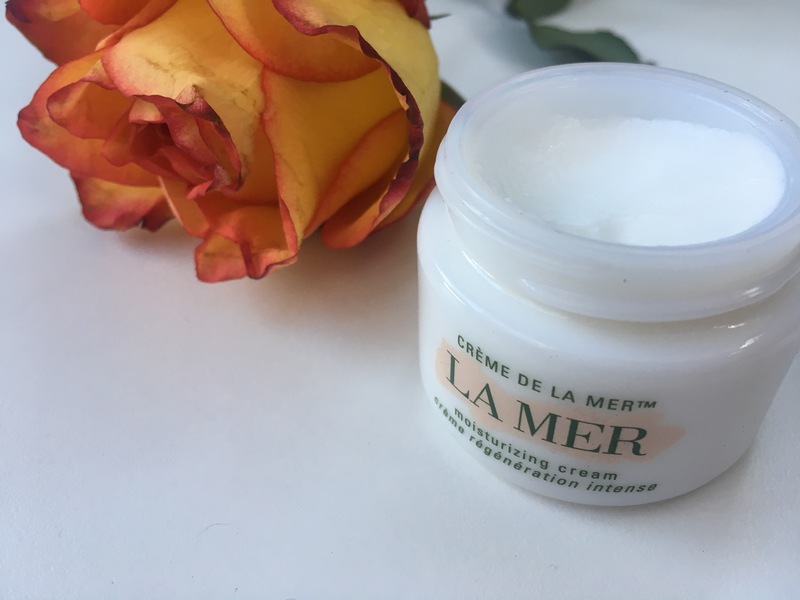 The claim is “With the nutrient-rich Miracle Broth™, the heart of La Mer’s profound powers of transformation, skin is immersed in moisture, sensitivities soothed, radiance restored. The Miracle Broth in Crème de la Mer is suspended in an extraordinary formula. The secret to activating its renewing power and enjoying its profound benefits lies in a soothing ritual.” Sounds AMAZE, right?! So let’s face it – $170 an ounce is a pretty penny to shell out for moisturizer, BUT when it comes to our face, who wants to skimp? Not me. I’ve been using the creme for about a month and while it smells great and feels good upon application, it takes FOREVER to absorb into my skin. I’d have to apply it a good hour before applying my makeup in the morning and you know ain’t nobody got time for that! I have tried warming the product between my fingers as directed, but that doesn’t seem to cut down on the thickness. It just sort of sits on top of my skin no matter how much I warm it and pat into my face. I have resulted to only using this at night before bed, which does leave my face feeling super soft the next morning. So is it worth $170 an ounce? I want to say NO because after a month I haven’t noticed much difference in my skins texture or a reduction of fine lines. However, I do love waking up to soft skin in the morning. So if you are looking for a luxury moisturizer, this may be good for you, but I wont be buying this on the regular. ← The Milk Blur Stick – Is it an Instagram Filter in a stick?